Following on from part 1 and part 2, we’re on to our third and final part of this article series on the finest sports stars to grace the poker tables. Still to come is a rugby player who married into royalty, a footballer who married a pop star, and a snooker player who once won a Lada car for making the first televised maximum break! Shawn Marion was part of the All-Star team on four occasions during his NBA career, won bronze with US national team at the 2004 Olympics, and was an NBA champion in 2001. Nicknamed the Matrix, Marion was considered to be one of the most versatile players in the league during his career due to his ability attack and defend in various ways. Marion retired in 2015, and a year later was seen on the American poker tour finishing 5th in a tournament in Oklahoma. Marion talked about going into professional poker upon retiring as far back as 2011 when he was playing at the World Series of Poker. Marion has never cashed out in the World Series of Poker, but his hopes are high to become the first man to win a WSOP and NBA championship. 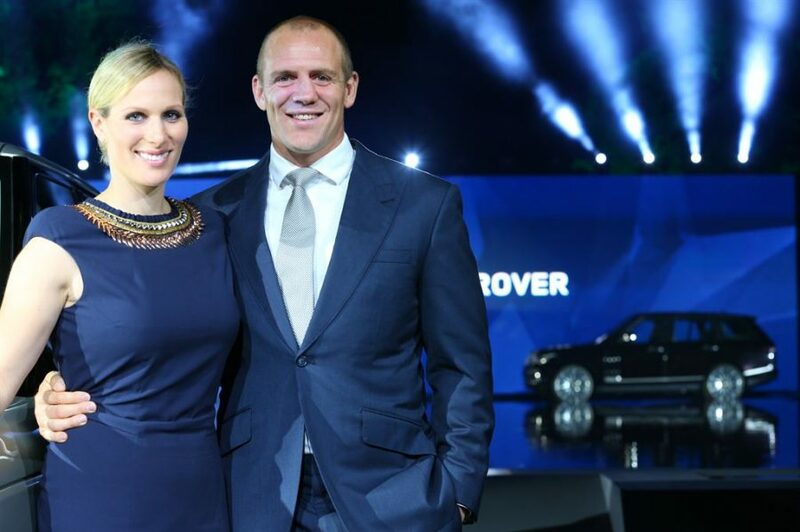 Married to royalty, Mike Tindall’s wife Zara Phillips is 16th in line to the British throne, however, Tindall more than made a name for himself in his own right on the rugby field, where he played a crucial role in England’s 2003 World Cup winning side and later captained his country. Tindall often played with teammates on rugby tours with England, and was known to buy beers for his friends while playing as he knew he could gain an advantage due to his well-known drinking prowess. Tindall looks for a leg up in any way possible. “They look at my face and see it’s a bit battered. They might think I like a fight so you’ve got to use that to your advantage,” said Tindall in 2014. Tindall was runner-up in Shark Cage that year, a reality TV game show which pitted poker professionals, celebrities, and online qualifiers against each other for a grand prize of $1m. Gerard Pique is one of the most decorated defenders of all time. Four Champions Leagues medals, a World Cup title, and a European Championship to his name, Pique, who has been dating Shakira since 2011, has also been in the European team of the year for 5 successive years. When it comes to poker, Pique takes his cards as seriously as his football, and though he doesn’t play all that often with his club teammates at Barcelona, on national team duty when there is more free time, he often plays with his compatriots David Silva and David De Gea in the Spain setup. “In Spain’s most recent campaign at the UEFA European Championship we had a lot of free time in the hotel, and playing poker is a great way to have fun when we have spare time. I obviously enjoy it a lot and will always try to play when I have the chance. I do hope one day to win a poker title,” said Pique. Pique has come close to winning in the past, finishing 3rd on two occasions in 2011 and 2016’s European Tour tournament in Barcelona. Steve Davis is viewed by many as the greatest snooker player of all time. Davis – who dabbled at pool and was instrumental in the foundation of the Mosconi Cup – won 6 World Championship snooker titles along with 22 other ranking trophies, and the Mosconi Cup twice. Davis first started playing poker in 2000 at the age of 43 when his snooker and pool careers were petering out, and in 2003 beat professional poker players Dave ‘Devilfish’ Ulliot and Roy Brindley in the Poker Million Masters. “I knocked out two pros at my table. It was a great table and I ended up winning it! After that, I was totally hooked on what I didn’t realise was such a great game. I thought it was just a gambling game, I didn’t realise how clever a game it was,” said Davis in 2006. Davis’ poker placings have been sporadic since, and has only played in two tournaments since 2010, but throughout his career, he’s only finished outside the top 10 on 4 occasions and has cashed in the World Series of Poker twice. Jason White doesn’t quite have the star-studded sporting career that most of the people on this list do. White only raced at NASCAR’s highest level on two occasions, and at NASCAR’s second level he only managed one top 10 finish in 50 races. However, when it comes to poker, White has had a lot more success, and for many years, was competing on the American poker tour at the same time as he was racing in the second and third tier of NASCAR. “I’d definitely like to be able to show what NASCAR drivers can do at the poker table. A lot of NASCAR drivers love to play poker we just don’t get to do it too much. I think I’m the first NASCAR driver to play in the World Series of Poker so that’s pretty cool,” said White. Jason White amassed a total of 22 top 10 finishes in the second and third level of NASCAR, but has already eclipsed that in poker where he has finished in the top 10 28 times, winning 5 times – a feat he never managed in NASCAR at any level. So there we have it, 16 sports stars who have gone on to grace the poker tables with varying levels of success. In many ways, poker is the obvious next step for athletes who miss the mental battles once they have retired. There’s no doubt that with the surge in popularity of poker in recent years, the number of well-known athletes who start playing poker professional is only set to rise. If you’re new to the game of poker but would like to learn how to play, here’s our poker guide.